In central Harlem, in a hub for homeless shelters—as well as recent arrivals from southern and northern Africa, the Republic of Yemen, Mexico, the Dominican Republic and Ecuador—PS 123 has long served some of Manhattan's neediest children. Coaxing students to come to school on time, and on a regular basis, takes time, energy and resources. Attendance has suffered, which has eaten into reading, writing and math time; inevitably test scores have suffered too. "One of our challenges is we serve a heavily transient population," said Principal Melitina Hernandez, citing the fact that there are 12 domestic violence shelters in the area. Almost half the children miss one out of every 10 days of school. Although students relocate, they may stay on the school roster, bringing attendance rates down. "We've really tried to bridge the gap between the school and the shelters," said Hernandez. When one family moved, she reached out to the Housing Authority and the Department of Education to get MetroCards so the children could commute back to their familiar school. 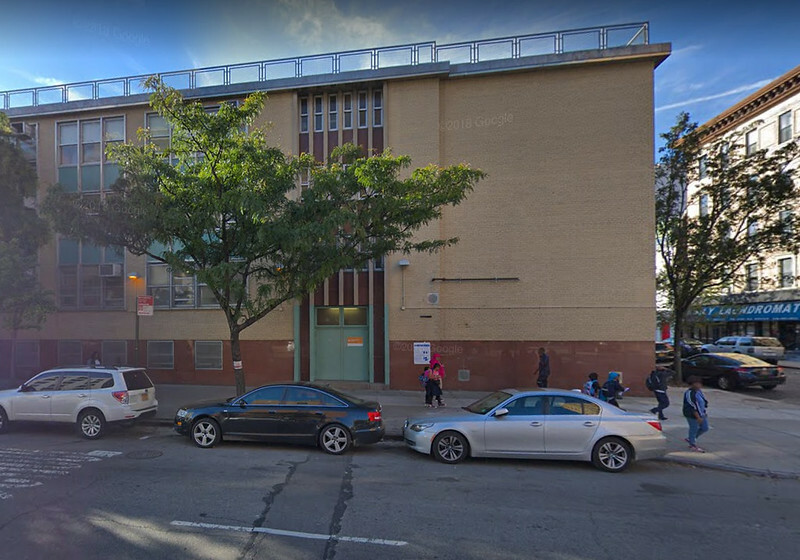 Twenty-three percent of the population has special needs, about double the number served by Harlem Success Academy 5 Charter School, which moved into the building in 2010 and serves grades K-3 at this location, and grades 4-8 at PS 175 on West 134th Street. At Success, kids in bright orange and plaid uniforms work longer days and enjoy higher scores and attendance rates. The schools have been in the news because of the disparity in their test scores; relations between them have not been friendly. In 2014, when Mayor de Blasio announced that 94 of the city's most struggling schools would be part of a renewal program, PS 123 was on the list. These schools are promised an extra hour of instruction, extra training for teachers and more. Meanwhile, since coming to the school in 2012 Hernandez has worked with her teachers to move from a more traditional lecture-style of teaching to increased small group instruction. That May, she won a $4 million, three-year state grant to add books, technology and additional training for teachers. "There were a lot of changes that needed to happen," she said by phone. "I found books in crates; a lot of old, dated materials." Her teachers now use a variety of resources to teach math and reading, including fresh books and technology. The building's three pre-k classes feed mostly into the charter, with only about 27 percent staying for kindergarten at PS 123. Hernandez hopes to entice more to stay. She has also worked with pre-k teachers to build in more units on topics like the weather, trees and leaves, marrying science and social studies, she said. Bright spots at PS 123 include a partnership with advertising firm Ogilvy & Mather in which about 20 6th-graders design marketing materials for campaigns with a social justice message. The school offers chess during the school day for grades 3-7, and robotics after school. A partnership with Studio in a School provides children with quality art instruction. Beacon runs an after-school program. Ramapo for Children helps kids learn to how to manage their feelings and relationships. Hernandez and staff have worked to help over-age children move on to high school. "We did a lot of tutoring and interventions for these students," she said. "We are working a lot more on character building, life skills. Were partnering with a leadership program to have teens serve as mentors." Special education: There are a growing number of team-taught classes, in which children with special needs learn alongside their peers in general education classes. PS 123 also offers tutoring and self-contained classes; in a mixed 7th-and 8th -grade class, students receive reading and writing lessons from one teacher, and math and science from another. Teaching assistants move with the kids as they advance grades to provide continuity.